After the wedding, it's time to relax - and Sweden, with its laid-back style and serene honeymoon packages, makes for a great get-away-from-it-all destination. Stay in the capital city for world-class cuisine and design landmarks, or hide out in a cosy rural log cabin. 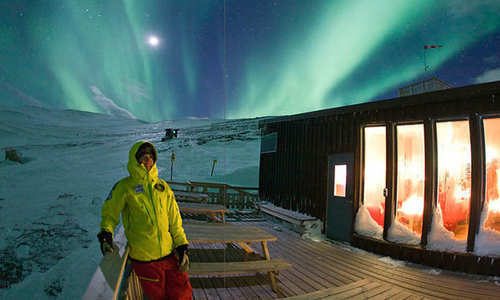 Adventurous couples may choose to jump on a dogsled to explore the beauty of the Northern Lights or hunker down in an ice hotel to experience something unique - hotels are rebuilt anew each winter. No matter where you choose to travel, dramatic landscapes and picturesque villages make Sweden a romantic spot for honeymoon holidays to remember. Sweden – like its contemporary schools of design – balances the unique and the traditional with consummate ease. There’s high-elevation mountain lodges where ranging hikes are especially rewarding, lakeside cabins that look out over boating expanses and log chalets complete with outdoor hot tubs. Elsewhere, you’ll find modern art installations in the forest canopies of Swedish Lapland – the excellent Treehotel features UFO huts and mirrored cubes – while the original ICEHOTEL makes for especially cosy stays. 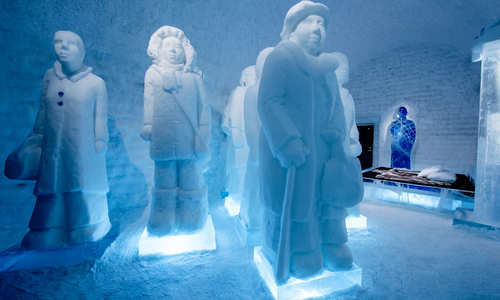 Each year, artists descend on northern Sweden to construct rooms of snow and ice complete with statuettes and ice bars. Throughout Sweden, there are plenty of opportunities to take part in a full range of activities sure to make your honeymoon unforgettable. Get to know the canine kind with husky sledding trips or go a little faster on a snowmobile expedition into the arctic. You can even meet the hardy Sámi peoples who will guide you on everything from ice fishing to their nomadic way of life. Come the summer, mountain walks and lakeside bicycle rides make for atmospheric afternoons. As one of the world’s most impressive natural phenomena, the Northern Lights makes for an intimate, once in a lifetime experience. Head north to Lapland for the best chances of spotting the lights from its ice hotels, traditional cottages and even aurora safari camps. 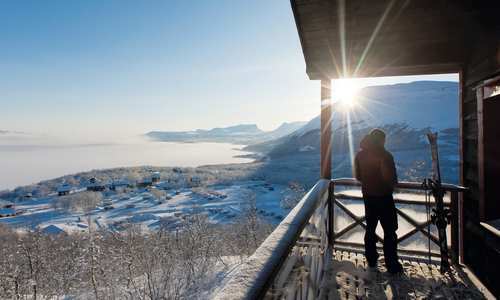 To get even closer to them, the Abisko Aurora Sky Station’s chairlift hoists guests to spectacular views of the night’s sky. Remember to bear in mind that the winter nights – September to March – offer the best chances to spot the lights as longer, relatively cloudless nights make for the perfect setting for them to appear. Read our handy guide on where and why the Northern Lights appear for a deeper understanding. Perhaps start with a city stay in Stockholm as you enjoy the best in gourmet Scandinavian cuisine and cobblestone streets that lead to beautiful inner-city parks, royal castles and a collection of excellent museums. From here, one of the best ways to travel Sweden is by a cruise along the Göta Canal. Set on both sides by a vision of the rural ideal, its calm waters take travellers from the neoclassical intimacy of Gothenburg to forward-thinking Stockholm. There are also self-drives along the coast to stay in idyllic fishing villages, feasting on fresh seafood along the way.